Insurance company Progressive felt the wrath of the Internet this week after the brother of a policyholder who died in a car crash posted a startling missive about how the family's claim was handled. Progressive has now reached a financial settlement with the family. Matt Fisher detailed his family's nightmare in a Tumblr post on Monday with a shocking title: "My Sister Paid Progressive Insurance to Defend Her Killer In Court." Three days later, Progressive said it reached a settlement with the Fishers. The family's attorney, Allen Cohen, told CNN it was a monetary settlement for "tens of thousands of dollars" more than the $75,000 claim balance that the family was originally seeking. The payment "is for their failure to exercise good faith towards their insured," Cohen told CNN. "While I cannot tell you the amount, they did pay 100% of what we asked in this regard." Here's the gist of the tragic story: Fisher's sister Katie died in a 2010 crash after another driver ran a red light. 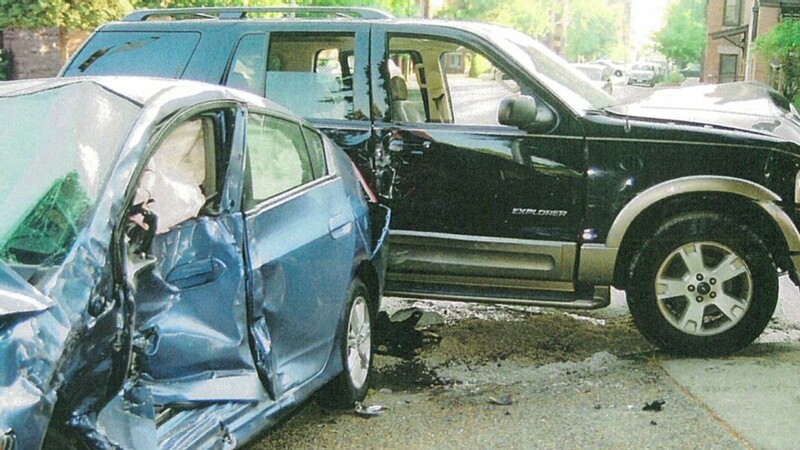 The driver was underinsured, and Fisher's family had to sue the driver for negligence in order to force Katie's insurance company, Progressive, to pay the difference. What really irked Fisher was that Progressive actively participated in the other driver's legal defense. His scathing post about the debacle quickly went viral and turned into a social media nightmare for Progressive. The company has spent several days trying to explain its actions. In its latest blog post, in which it announced the settlement, Progressive wrote that it "participated in the trial procedures on our own behalf while Nationwide represented the other driver." The company also defended its decision to bring the case to trial: "Under Maryland law, in order to receive the benefits of an underinsured driver claim, the other driver must be at fault ... A trial was necessary so that a jury could review all of the evidence and come to a decision." A jury ruled on August 9 the other driver was at fault, and Progressive said it "worked with the Fisher family and their legal representative to resolve the claim" after the verdict. Court records show that the jury awarded Katie's estate $760,000 plus legal fees. But that verdict falls against the driver, not Progressive, and the family was unlikely to actually collect most of that money. The Fisher case is finally settled, but the PR damage Progressive suffered could linger. Progressive's Facebook and Twitter pages were under attack all week, with scores of people posting negative comments about the handling of Katie's case. Progressive (PGR) didn't handle the social media replies well. On both sites, the company responded to its detractors with stiff-sounding statements like: "We fully investigated this claim and relevant background, and feel we properly handled the claim within our contractual obligations." That tin-ear reply fueled critics' anger. As one commenter wrote on Progressive's Facebook page after it announced the settlement deal: "Hey look at that, you agreed to pay off the claim the family was originally entitled to. All it took was losing a trial, a media firestorm, and the impending loss of countless customers." -- CNN's Dana Garrett contributed reporting.